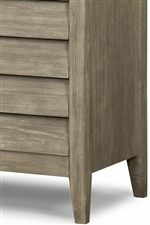 The Corliss Landing Queen Low Profile Louvered Panel Bed by Cresent Fine Furniture at AHFA in the area. Product availability may vary. Contact us for the most current availability on this product. 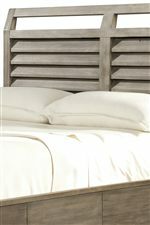 5632QB Queen Shutter Sleigh HB/FB 1 53"
5632QR Queen Rails & Slats Kit 1 65" 87.3125"